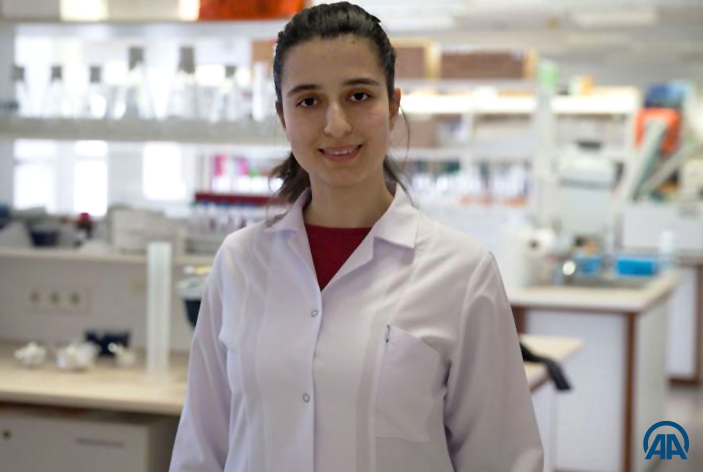 Nazlı Değer, a master’s student in the Department of Molecular Biology and Genetics (MBG), has been awarded a 2019-2020 Prof. Aziz Sancar PhD Grant by the Turkish Fulbright Commission. The scholarship will enable Nazlı to pursue doctoral stud ies related to DNA damage and repair under the academic supervision of Prof. Sancar in the Department of Chemistry at the University of North Carolina, Chapel Hill. Nazlı is currently working in Assoc. Prof. Işık Yulug’s laboratory. A 2016 graduate of the MBG department, she received an Erasmus traineeship mobility grant to do an internship at Ludwig Maximilian University, where she was involved in research aiming to identify the genes responsible for the development of congenital neutropenia in children. In the third year of her undergraduate studies, she received a TÜBİTAK 2209-A grant to conduct research on breast cancer development. The US-based Fulbright program provides grants to support the international exchange of students, scholars, teachers, professionals, scientists and artists in countries throughout the world. The Fulbright program in Turkey is administered by the Turkish and American governments in cooperation with private and state institutions through the Turkish Fulbright Commission. The Commission established the Prof. Aziz Sancar scholarship as a special grant program to honor the recipient of the 2015 Nobel Prize in Chemistry.